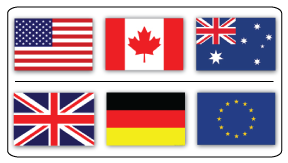 Point of Purchase Displays for all retail, education and fundraising channels. 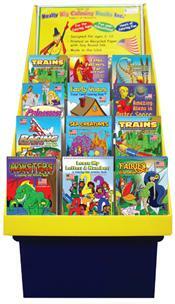 The Really Big Coloring Books ® merchandising display are proven successful and will make any market or channel a high profit margin. 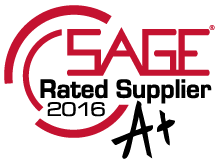 If your company, group, club, school or organization would like more information please call or email us. 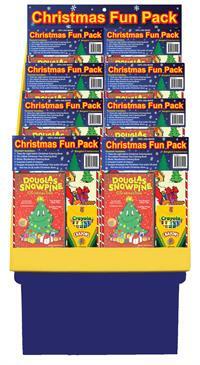 This 100% MADE IN THE USA holiday display and product is designed TO MAKE YOUR STORE MONEY! A super fantastic selection of Holiday themed books! 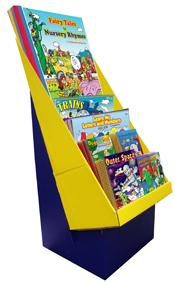 This retail unit features up to 5 titles at a time in a floor display that has a footprint of about 18" x 18". You can easily double your investment with the Really Big Coloring Books. coloring books. 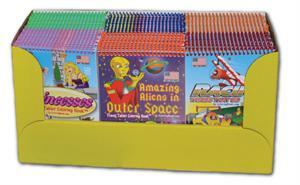 60 ct. coloring books Retail Display unit. 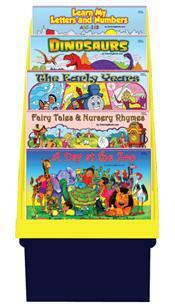 These coloring books are also Peggable and do not require a display unit. Units will displays on any shelf. 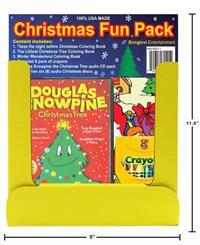 Assortment of Power Panel Coloring Books: 8.5" x 11" 96 ct Power Panel Coloring Books Assortment | Free Corrugate Display. 12 each of 8 Titles! 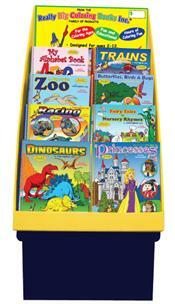 This retail unit features 12 titles at a time in a floor display that has a footprint of about 18" x 18". 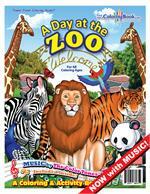 You can easily double your investment with the Travel Tablet Coloring Books. 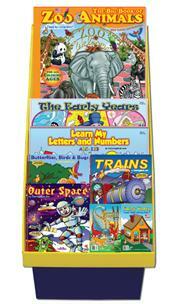 (PDQ-72 books) Travel Tablet PDQ Table Top Display Receive 12 books of 6 titles. 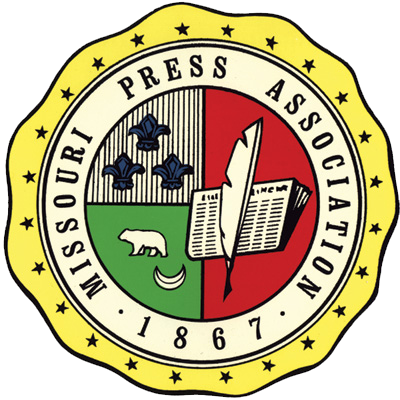 All books are 5.5" x 8.5". This display is an incredible eye catcher with the colorful spirals!